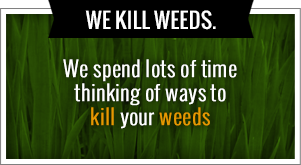 Let’s get your Tulsa weed control problem under control. 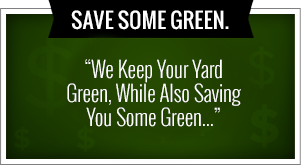 That is what we do at Greenleaf Lawn Care here in Tulsa, Oklahoma. We will do everything to strive and make your lawn look amazing and extremely green. We want to create a lawn that all of your neighbors are jealous of until they find out how easy it is to do by giving us a call and get their own lawn looking like yours. If you’re looking to have your lawn maintained by landscaping professionals that know what they’re doing make sure to give us a call at 918-640-6405. Landscaping can be a rewarded business to get into, luckily the business is always evolving and changing with landscaping service business software to could help landscaping companies give the best service possible. We have so many services that we can offer you for your home or even your company. We are able to offer Tulsa weed control, spring cleanups and scalping of your lawn, lawn fertilization, small shrub removal and planting, small tree removal and planting, leaf removal, sod installation, flower bed maintenance, had charming and shaping, weekly lawn maintenance and so many more as well. With any of these services you can give us a call 24 hours a day seven days a week and we can give you advice and quotes or anything you may need for your project. We actually have fertilizing rates starting at only $35 her application that can help your lawn to look green an amazing. We are also the best in the state at Tulsa we control and can take care of all those pesky weeds quickly and efficiently. There are so many native weeds to Tulsa that can really ruin your lawn if left untreated. Being a local company we are able to focus on these weeds and take care of them very quickly. Our turf enhancement engineers know exactly what they are doing when they, to look over your lawn. Our turf enhancement engineers are totally certified by the Oklahoma Department of agriculture. They are very well-equipped with the correct licenses that bring you the best in Tulsa weed control. With all their vast knowledge that they have you as customers should have the confidence in our company to know that you made the correct choice in choosing Greenleaf as your Tulsa we control provider. We also make sure that our turf enhancement engineers stay updated on their licenses so they know all of the latest information that is needed. Here at Greenleaf we believe in giving you the best turf enhancement engineer to come to your house with a vast knowledge of all the need to know to help you. We also believe in using the best chemicals and equipment to get the job done. We also believe in giving the best price and have found that even though our company is local we still compete quite well with the national big names out there. We would absolutely love the privilege of helping your family with their lawn control needs. You can easily get the process started by giving our turf enhancement engineers a call at 918-640-6405. We know that when you see the results you will be happy that you did. If you would like a local Tulsa weed control company run by local people and able to help local schools and still get a better product than you need to call Greenleaf Lawn Care at 918-640-6405. Our Tulsa we control company is run by two local boys named Jamie Nix and Josh Mathias. Josh and Jamie would love for you to take the opportunity to give Greenleaf Lawn Care a chance at winning your business. There are certain things with our company or we believe that we will be able to help you more than other companies with your Tulsa weed control. One of the things that we can do better than any other company out there is give you amazing customer service that just isn’t offered anywhere else. We are actually available for phone calls 24 hours a day seven days a week. We don’t care if it’s three in the morning and you had a dream about what you want you’re landscaping to look like at your house and want to talk through it, we will be there. Most Tulsa weed control companies won’t even return a voice message in 24 hours. This is most likely because with the majority of companies you are just a number in a faceless person. You are a lot more to us than that. You are definitely a name and a face and eventually you will become a story with us. If you do business with us we would definitely like to get to know you and see if we can help you out in any other way possible. How like to do it is that we want our family to help your family. The great thing about keeping your business with Greenleaf Lawn Care is that you are able to keep your money with a local company. When you do that the money stays in the community and helps build your local economy. If you give your money to a national company it will end up in some rich person’s hands that has never seen a weed Wacker in their life much less held one. I would never buy a car from somebody who has never driven one so why would I hire someone to work on my lawn who has never done it before? At least we will make the decision easy for you because we will also offer a wonderful price an amazing customer service. So you aren’t choosing one or the other you get the best of every world when you work with us. We will do everything we can to get your lawn looking as green as possible in as little time as possible. We want you to get out and enjoy your wonderful lawn as soon as you can. We know that you will be asking all of your neighbors to come over for a barbecue so you can show off your new lawn. Greenleaf has also started a way where we can give back to our community and schools. We have set up a way where for every new customer that purchases a service we will give a portion of that money to a local school system. We will also allow you to be the one who chooses which school it will go to. We all know that money is tight in the schools these days and we feel that anything we can do to relieve some of the financial burden is very important. Most teachers have to spend money out of their own pockets just provide their students with the necessities and that is another reason why we are doing this.